It is one celebration after another. Not long after we partied for the New Year that we look to welcome The Year of the Sheep. As we await this auspicious date, try recipes not for a grand feast but filling and delightful nonetheless. 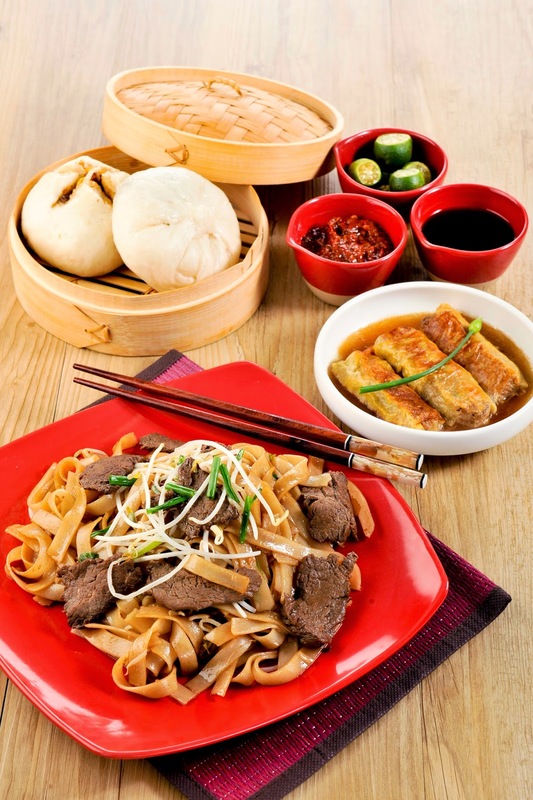 Read more and see how to prepare Oriental favorites beef noodles, pork buns and tofu. Heat oil and stir-fry beef. Remove from pan and set aside. In the same pan, add a little more oil and sauté onions until translucent. Add in grated ginger and stir until fragrant. Toss in bean sprouts and cooked noodles. Increase the heat and add the beef. Slowly add the prepared liquid seasoning and gently toss everything together. Lastly, add the spring onions before serving. Prepare dough. Dissolve yeast and sugar in half cup water. Sift together all-purpose flour, cake flour and baking powder. Set aside. In another bowl, put the remaining water, sugar, oil, salt and half of the flour mixture. Add to this the yeast mixture and stir. Add more flour mixture, enough to form a soft dough. Use the remaining flour mixture to dust a surface for kneading. Knead the dough until smooth and elastic. Place dough on a greased bowl and let rise until double in bulk. Prepare filling. In a saucepan over low heat, combine all ingredients except dissolved cornstarch. Simmer until meat is tender. Thicken sauce with cornstarch. Cool and set aside until ready to use. To assemble. Punch down dough and divide into 20-24 pieces. Roll into balls and let them rest for 5-10 minutes. Roll out each ball of dough, making the sides thinner than the center. Put some filling and a slice of salted egg at the center then gather the edges towards the center, covering the filling. Place a square piece of paper at the bottom of the dough. Repeat procedure until all the dough is used up. Set aside the filled dough balls and let them rise until double in size. Cook in the steamer for 20-25 minutes or until done. Prepare filling. In a bowl, combine all ingredients for the filling until well mixed. Set aside. Prepare sauce. Mix all ingredients in a bowl, making sure to dissolve the cornstarch in the liquid. To assemble. Place a sheet of bean curd sheet on a clean, flat surface. Spoon meat filling in the middle then fold the sheet over the filling. Fold the sides inwards and roll tightly, forming a 4-inch roll. Seal by brushing the edges with a little beaten egg white. Repeat procedure until all the filling is used up. Arrange rolls in a shallow plate and pour prepared sauce over them. Put the plate in the steamer and cook for 10-12 minutes or until done.